Last week, I took a short trip to Fishers of Men Mexico south of Mexico City. Some of you may remember that my family took a trip down there four years ago in June of 2014 to serve at the Refuge Ranch. This year was a little different. This year, we went down for a “retreat” to celebrate the 15 year anniversary of the organization. My dad, the treasurer, was unable to go, so my mom and I went in his place. It turned out to be a lot more than just a retreat. Every single day we were out and about running errands for Julie (head of the mission) or exploring Mexico. I had an amazing time, and the experience only confirmed my desire to be a missionary. I could do what I did that week for the rest of my life. 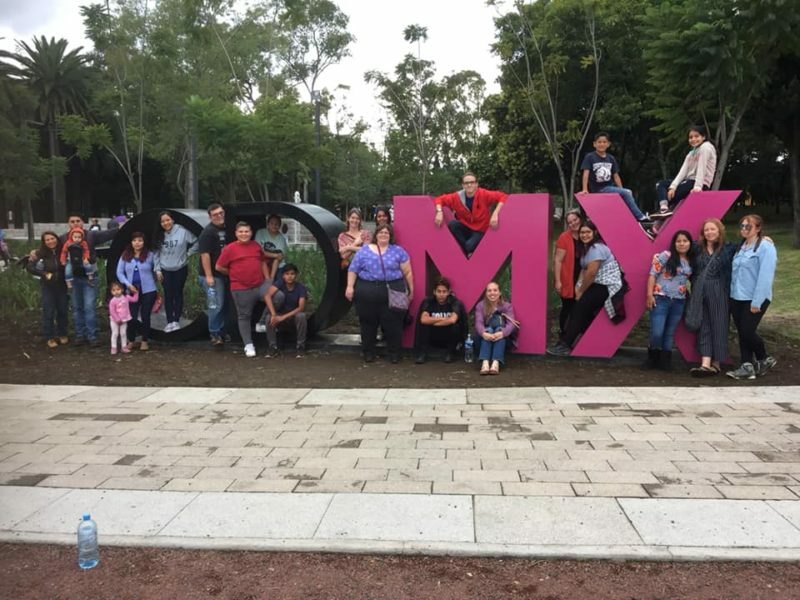 Throughout the week, we explored Mexico City and the surrounding area, experienced the amazing culture and day-to-day life of living down there, and helped prepare for the incredible event on Saturday. I love having the opportunity to just live life with other people and get to know what being a Christian in other cultures looks like. Down there, faith seems so much more real. They don’t have all the comforts and safeties of the things we have here. There, they rely on God for literally their daily bread. (by bread I, of course, mean tortillas) It amazes and refreshes me to spend time with people that truly trust God with everything: Their home, their kids, their livelihood, everything. I can’t stress enough how amazing it is to just live down there. Saturday was the main event. People from all over Mexico who are involved in the Crusades came for a night of remembering FofM’s history, discussing its future, and taking part in some amazing worship time. For those of you who don’t know what Crusades are, they are the second facet of FofM’s ministry. The first is the Ranch, where the numerous kids and staff live. The second is the Crusades. These are regular missions throughout Mexico to spread the gospel and provide medical care for those who need it. The staff for these are mostly Mexicans, though American members, as well as some of the Ranch kids, join when they are able. At this event, there were separate areas set up as little “museums” with information about the Ranch and the Crusades. Both were open for attendees to walk through and look at the medical equipment, plethora of photos, and even the blueprints and amazing model of the new house being built. Seriously, the model was amazing. It even had wallpaper and flooring. I examined every room on the blueprint and model for a few minutes. Thankfully, Julie also gave us a tour of the house in construction on Monday. The general browsing was followed by a worship time and a sermon, both of which I loved every second of. I was a little nervous that I would be bored since I couldn’t really understand the language, but my aunt (who lives in Mexico and is fluent) translated the sermon, and the worship service was astounding. I felt God in that building. There have only been a few times where I’ve felt that presence, and I felt it there that night with a room full of people who didn’t speak my language worshiping God, and the words of a passionate missionary with a miraculous story to tell. The rest of the weekend was wonderful. After the sermon, we had dinner and then proceeded to pack everything up that night to return it to the Ranch (we were hosting the event at the Bible college). I love to organize and pack, so I after I helped move several large pieces of the Ranch museum down two tight flights of stairs, I hopped into the back of a van and helped pack everything up. We stuffed the vehicles full, but we managed to fit everything into the back of a fifteen passenger van and a pickup truck. It was a fun and late night. I think we were up until one in the morning. Sunday, we all went to church, ate lunch, and wandered around a park in Mexico City. It’s sorta the “Central Park” of Mexico City. We walked around street vendors, tried some more street food (seeing a pattern here?) and visited an old castle on a hill that is now a museum. Monday we helped Julie teach school. I graded schoolwork and helped a couple of them with English. It was another fun experience, as pretty much everything I did down there was. Tuesday was a sad day. We ate breakfast one last time with Julie and then headed off for the airport. Because of long layovers and extra time at airports, we spent all day traveling. We got up at 6:30, arrived at the airport around 10, and finally got back home at 1 in the morning Wednesday. It was a long journey, and we had little time to stop and rest, but it was well worth it. Being there reminded me of what faith really looks like, and it gave me a goal to set my eyes on as I strive to live more like Christ. Maybe one day I’ll move down there too.